The SoftBank Group hopes to create a society where people work together to help and support each other. With ICT, we can overcome distance and time to connect people with regions and organizations that need support. 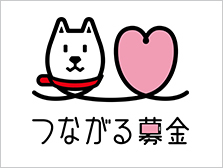 SoftBank has launched TsunagaruBokin, a service that allows customers to donate money to non-profit organizations (NPOs) through their monthly mobile phone service charges. In operating this platform, SoftBank is empowering individuals to contribute to society by simply using their mobile phones. To deepen cooperation between local governments and communities, the SoftBank group is establishing regional CSR hubs with the aim of addressing community issues through ICT. Experienced senior personal have been chosen from among the many employees who volunteered to work at these regional hubs, to collaborate with local authorities in planning and promoting CSR activities and various other SoftBank Group initiatives. 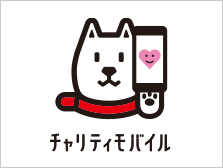 Charity Mobile Donation is a new service whereby customers can make donations to NPOs by simply using their SoftBank mobile phones. 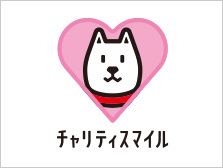 When a SoftBank customer signs up for an upgrade or new phone, they can apply via a dedicated website to have a fixed amount of an additional ¥6,000 donated from SoftBank to an NPO of their choice. A further donation of 3%*1 of their monthly mobile phone service charges (total of the basic monthly usage charge, domestic voice call charges, and usage fees for added services) can also be made for up to two years*2 at no additional cost to the customer. When calculating donations, the following usage fees are not included: Overseas charges, fee adjustments, monthly installments for devices, monthly installment discounts, information services charges, set monthly charges, White BB plan, administrative charges for change of device model or upgrade, cancellation of a contract outside subscription renewal period, contract cancellation fees, phone charges for 104 directory assistance, content information charges, charges for S! Pay for All payment service, SoftBank Consolidated Billing, consumption tax, universal service charges, donations and support funding associated with Charity White or Charity Smile. The affordable 10 yen can be added when monthly mobile phone charges are paid, and this can continue on a monthly basis without any inconvenience to the customer. When a large-scale disaster occurs, wherever the location, a portion of the funds are earmarked for donation to support the affected area.